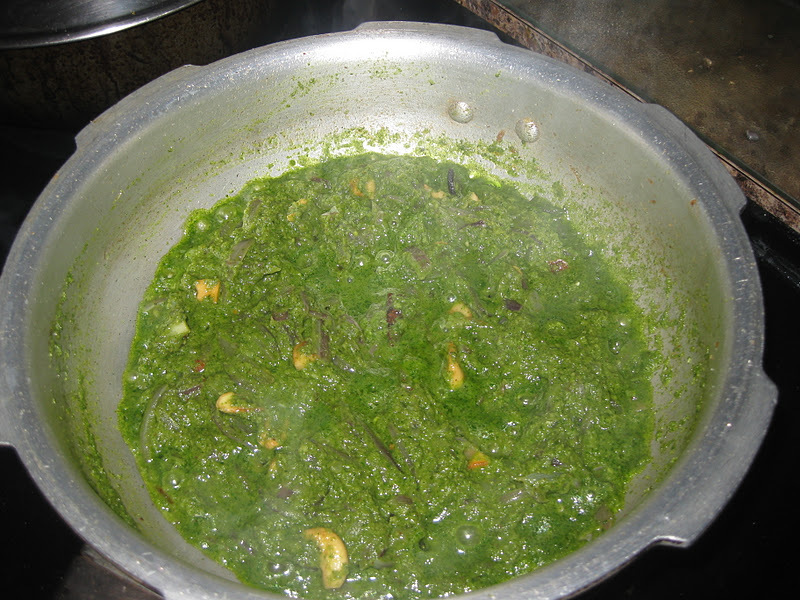 Soak the basmathi rice for 15 minutes and grind the mint leaves,green chillies and coconut to a fine paste. 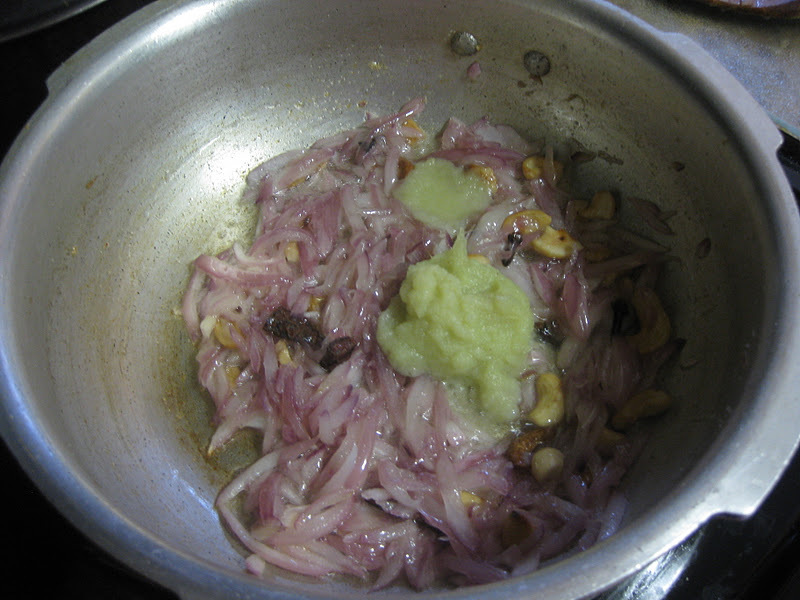 Heat a pressure pan with oil and ghee,season it with the spices given "to season".Add the cashews and fry the onion till transparent,then ginger&garlic paste. Now add the ground paste,garam masala powder,saute it for a minute till the raw smell goes off. 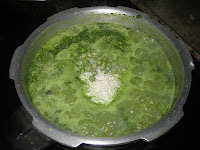 Add 13/4 cups of water and let it boil,once the water is boiled add the soaked rice and green peas,cook it for one whistle in a medium flame.Then keep it in the low flame for 5 minutes.Open it after the pressure subsides and finally add the lemon juice and fluff it with a fork gently. 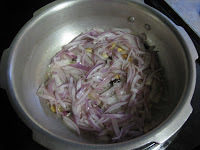 Serve it with raitha,pickle or chips. 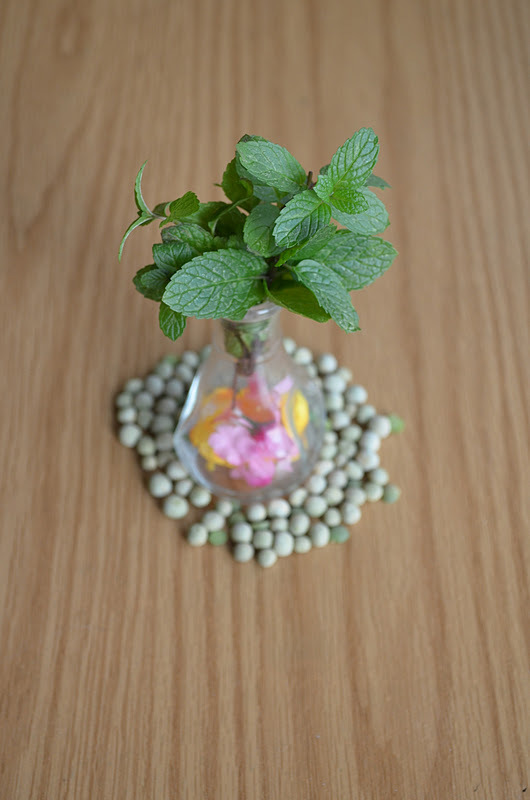 Instead of using ginger&garlic paste it can be grind along with the mint leaves. 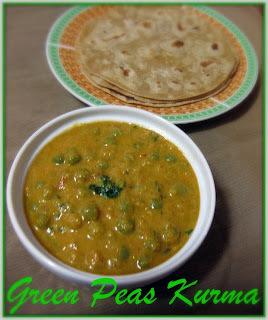 Coconut milk and tomato can also be added for extra rich flavor and taste. 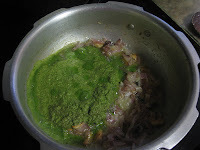 Some times I add coriander leaves along with the mint leaves. 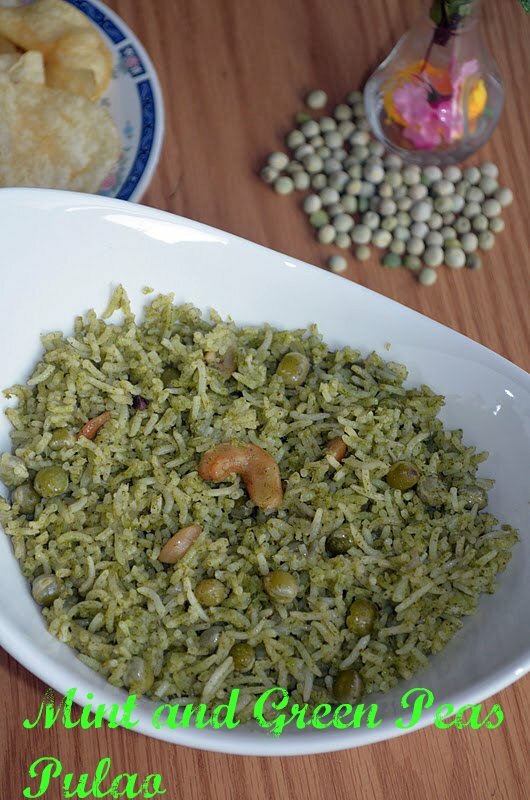 Sending this to Cooking With Seeds-Peas event happenings in Priyas Easy And Tasty Recipes and to the Royal Feast-Biriyani event by Reva of Karasaaram. awesome awesome combo.......my mom makes them with fresh peas & it is super yum.........drooling over your pics Nalini.........Longing to go back to India. so flavorful and delicious pulao...excellent recipe!! superb recipe...nice combo of mint and peas...rice looks absolute yumm. 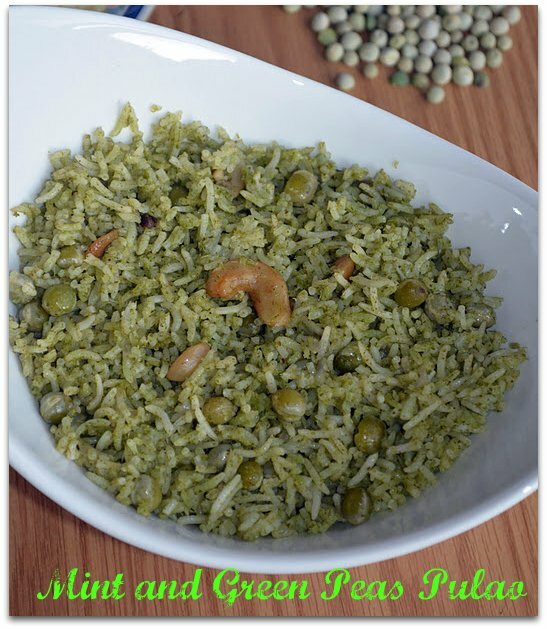 Perfect combo and a great meal menu :) Super like dear..
Had this for lunch today...Love this aromatic and flavorful rice. 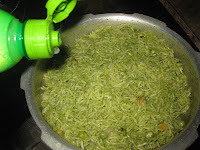 Yumm luking and healthy Combo Pulao Dear. 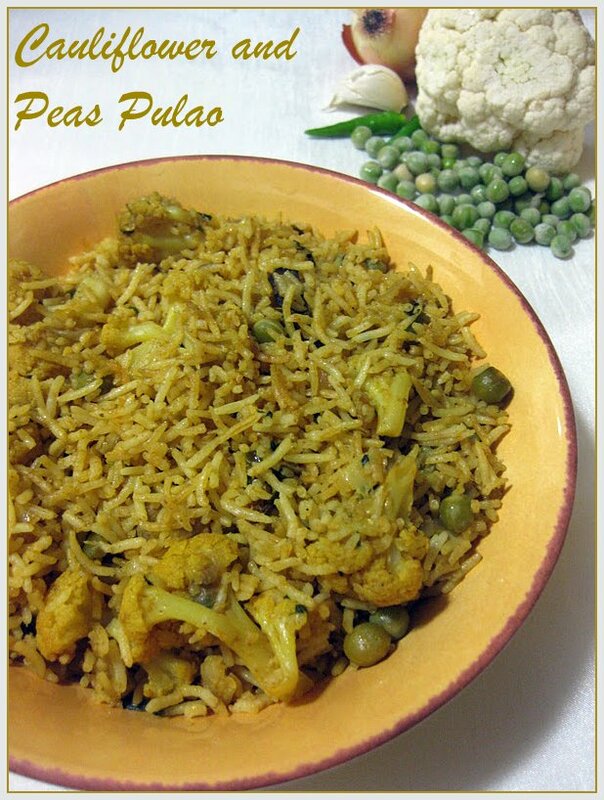 Flavourful peas pulao looks super inviting and delicious,thanks for sending to CWS Nalini..